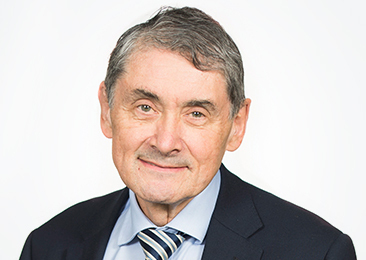 Sir Harry Burns is Strathclyde’s Professor of Global Health. He also has a leadership position within the International Prevention Research Institute. He graduated in medicine from Glasgow University in 1974. He trained in surgery and was appointed Honorary Consultant Surgeon and Senior Lecturer in Surgery at the Royal Infirmary in Glasgow in 1984. Working with patients in the east end of Glasgow gave him an insight into the complex inter-relationships between socioeconomic status and illness. He completed a Masters Degree in Public Health in 1990. In 1994, he became Greater Glasgow’s Public Health Director. He later was a national leader in cancer prevention and care. From 2005 until 2014, Dr Burns served as Chief Medical Officer for Scotland, where his responsibilities included public health policy. He gave strong priority to early childhood, including co-chairing the Scottish Government’s Early Years Task Force. He was knighted in 2011. He was appointed Chair of Wheatley Foundation in November 2015.